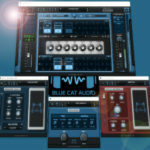 Blue Cat Audio Guitar Contest: Prizes Worth $1,796! 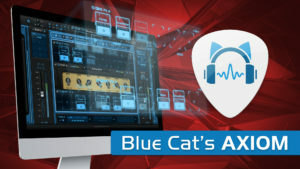 We are happy to announce our first guitar contest with the opportunity to win our acclaimed guitar & audio software Blue Cat’s Axiom, Destructor, Axe Pack and All Plug-Ins Pack, with a backing track provided by JTC (jtcguitar.com) and written by Martin Miller (martinmillerguitar.com). 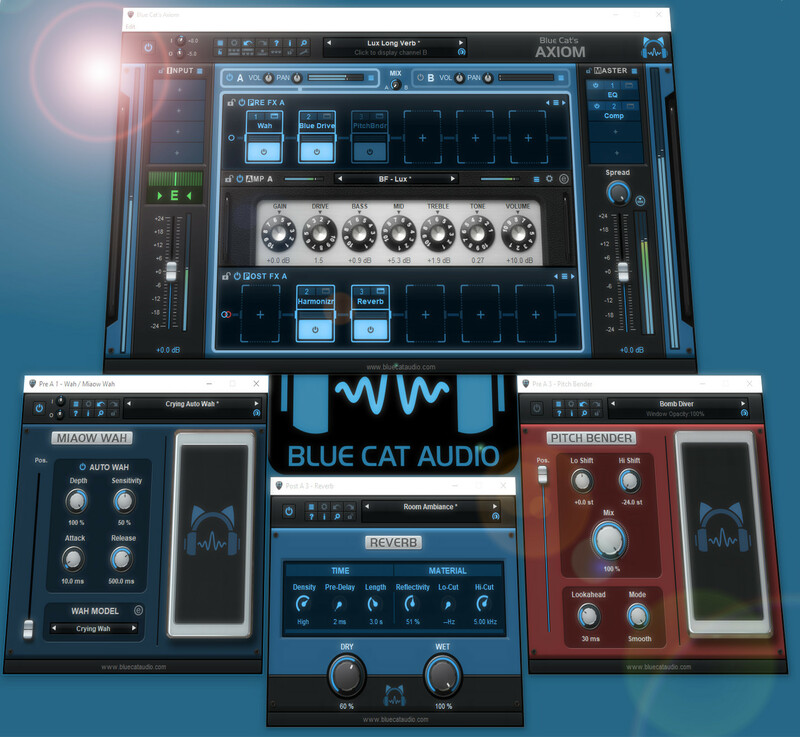 All you need to do is record yourself playing your own guitar solo on the JTC backing track, using one of our amp simulations plug-ins: Blue Cat’s Free Amp, or the demo of Blue Cat’s Destructor or Axiom. Upload your video to your YouTube account and share it on the Blue Cat Audio Facebook page. 10 players will be selected from the YouTube likes, and the final jury (composed by Martin Miller and the Blue Cat Audio team) will vote for the 4 winners. Blue Cat’s Axiom is now available for purchase, alone or as part of the new Axe Pack bundle. Blue Cat’s Axiom – News! 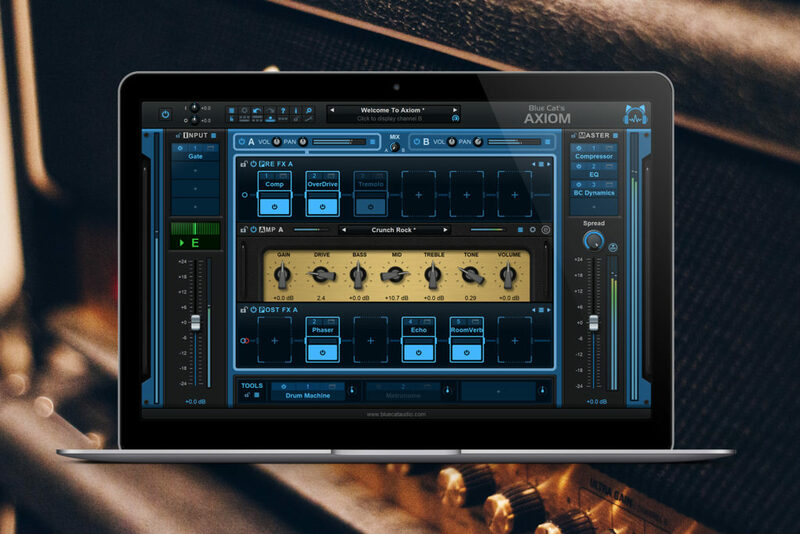 So you are wondering what’s going on with Blue Cat’s Axiom since its announcement at NAMM earlier this year? It’s not Q2 yet, but we are making progress! 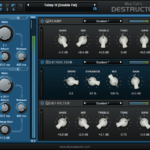 We have just shipped Blue Cat’s Destructor 1.3, and all the improvements for this release will be included into Axiom. 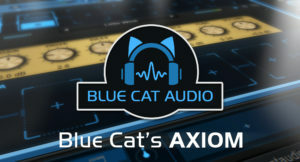 So you might want to check out the latest version of Blue Cat’s Destructor to have an idea of what guitar and bass amp simulations will look and sound like in Blue Cat’s Axiom 1.0! As you can see in the screenshot here, new built-in effects have been added since our NAMM demos. NAMM 2018 Day One: Guitar Software Day! It’s almost day one at NAMM, are you ready? We’ve got lots of news for the show this year, so we’ll be posting (almost) every day. And today is guitar day at Blue Cat Audio! As announced earlier this week, we’ll be showing off Axiom on our booth (#16300). 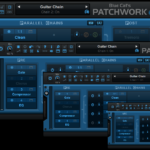 We have just released new versions of Blue Cat’s Destructor and PatchWork. Blue Cat’s Destructor 1.21 is a maintenance release that fixes an issue appeared with version 1.2. It is highly recommended to update as the sound of the plug-in is impacted by this bug appeared in version 1.2. You can read more details here. Cubase has a bug with VST3 instruments and sets the last loaded preset number after having restored their state (which is not supposed to happen). 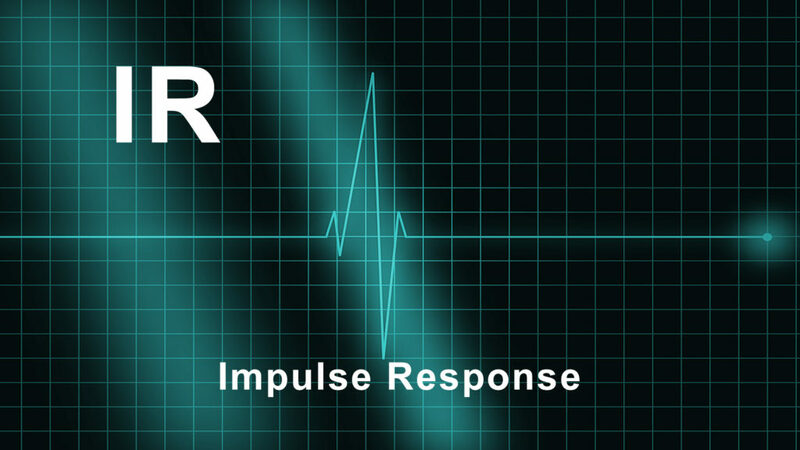 The impact depends on the implementation, but for our own plug-ins, this used to fully reset the state of the plug-in upon session restore. As of Cubase 9.5 it has still not been fixed, so we have decided to implement a workaround to avoid this problem. As a result, factory presets are not exposed to the host anymore, which is not a big loss anyway!